I began cake decorating when I was 8, when my best friend and I entered a school contest for a school spirit decorated cake. Our cake won, and that started it all. When I was 12 I decorated my brother's birthday cake, which led my mom to decide I should attend a Wilton Cake Decorating class. She went along just to make sure they took me seriously (I mean, I was 12 :). After that I began making cakes for friends and family (sold my first cake for $10 - a $5 profit :). Over the years I bought books and learned as many new techniques as I could. When I was 19 I made my first wedding cake, and began looking more seriously at improving my skills. I was published in American Cake Decorating Magazine several times (even made the cover of this issue), and worked with several caterers in my area providing cakes for weddings. I played around with gumpaste, but lacked the techniques and understanding of the medium to go much further. Then, when I was 23, my parents gave me the amazing birthday gift of a trip to the International Sugar Art School in Atlanta run by master decorator Nicholas Lodge. What an amazing time! I have since taken several classes under Nick, and while I don't do a lot of decorating these days, the experience was priceless. One of the wonderful things about class is the atmosphere. It is a fun, friendly space, and he is a wonderful teacher. Each day, the students look forward to what is advertised in the brochure as "a light lunch". His business partner Scott cooks while the students work, and the smells often carry over into the workroom. During my visits there I enjoyed some amazing food - and at the top of that list was a simple bread pudding recipe ("light lunch" huh :). He graciously shared the recipe with us, and while I have not made it very often, this year I decided to pull it out. My kids had bread pudding at Mt. Vernon in October and loved it, so I am thinking it would be a wonderful treat for Christmas week. Definitely printing out this one for the 12 Days of Christmas. Thank you! and my wasn't that first wedding cake beautiful!!! thanks for all the hard work and to your dad for taking the door off their house! hee hee - will never forget the sinking feeling in my stomach when William mentioned casually AFTER the cake was on the board - oh, that board wouldn't go through the door without tilting it on it's side :) guess it is a good thing brides have no idea what is going on until after the wedding is over - wish you could have seen that cake at a precarious angle inching through the door frame! Mary - would love to meet your sister some day - I love her work, and she seems like such a fun personality!!! Yum! 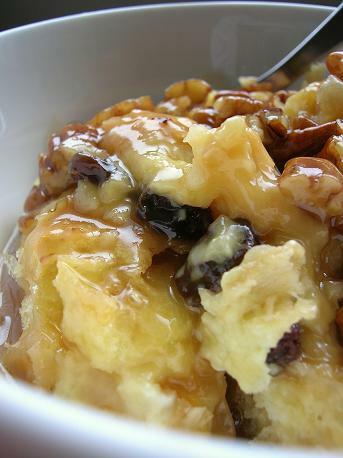 I've been making bread pudding quite a bit lately for special occasions, using a good recipe in Southern Sideboards cookbook. The kids love it (and I love it WAY too much). I think I'm going to make some at my parents around Theophany this year. It's actually so easy! This type of bread is so common for dinner dish i like to eat in dinner with any think. it easy to make and easy to ready for guest.